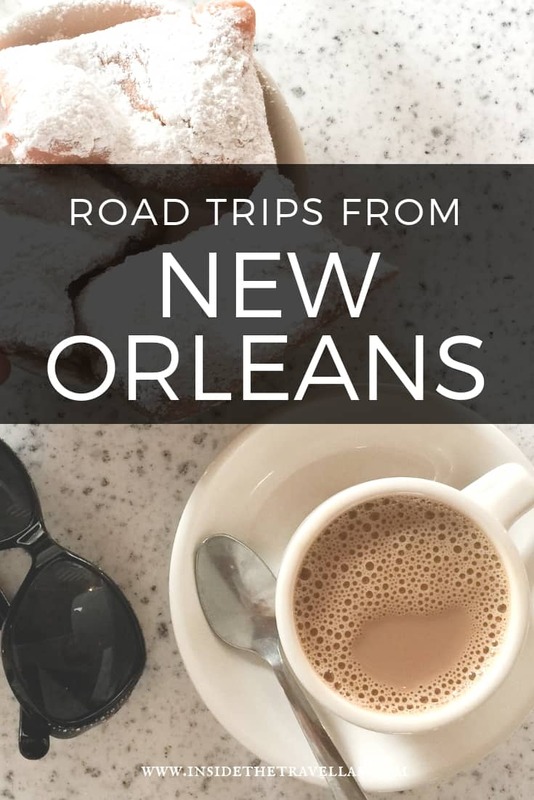 When a state lives by the words Laissez le bon temps rouler, meaning let the good times roll, you know it’s the right place for a road trip. One of the best drives through America’s Deep South has to be a New Orleans road trip. Starting and finishing in New Orleans works not only from a practical point of view (it’s easier to fly in and out of the same airport, not to mention pick up and drop off a hire car at the same place) but there’s a better reason too. 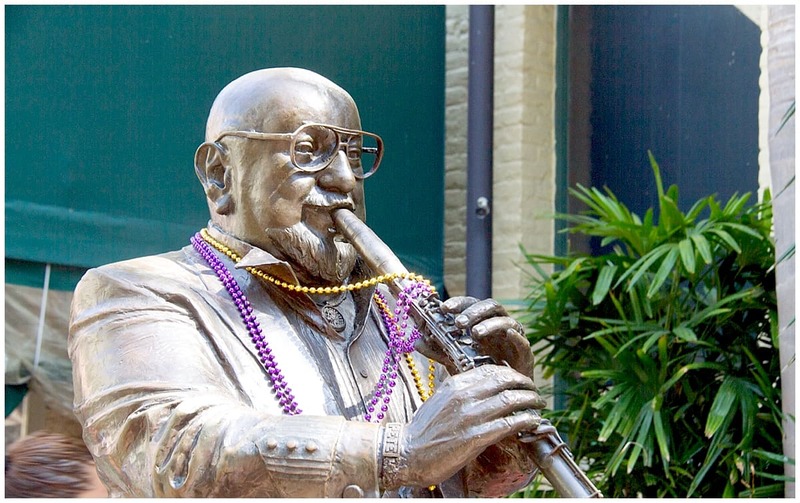 Once you’ve driven through the southern state of Louisiana, you’ll see the jazz-fuelled city of New Orleans in a whole new light. Then there’s the drive itself. Sure, our New Orleans road trip will always have a special place in my heart, being our first driving holiday as mum, dad and baby. But you don’t need to let my personal circumstances guide your trip. Imagine driving past white sand beaches, alligator-strewn swamps, the stately curve of the Mississippi and small towns on the bayou, with drive-through sweet shops and mailboxes on sticks. Follow the history of jazz, experience plantation life on the Great River Road and uncover the history of slavery, Creole, Cajun and Zydeco. Louisiana is a place where live music unfolds every night, where gumbo, grilled oysters, grits and crawfish etouffee reflect the diversity of the people who have made this place their home. 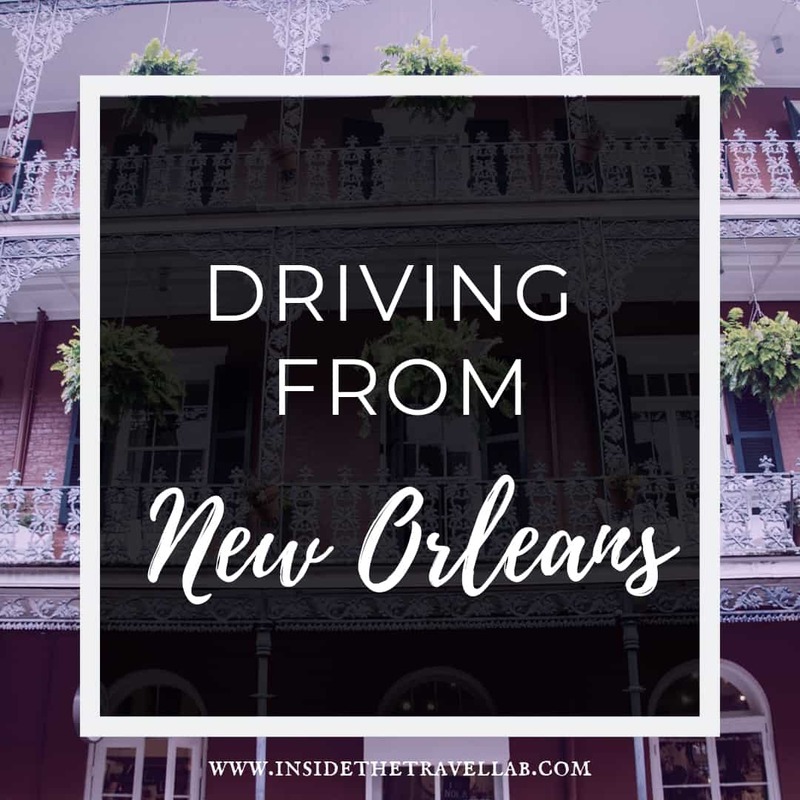 Other than New Orleans itself, the cities and large towns don’t light up the international radar, but then again that’s part of the charm of the trip. Drive into Louisiana and really get a taste of the Deep South, away from all the tourists. 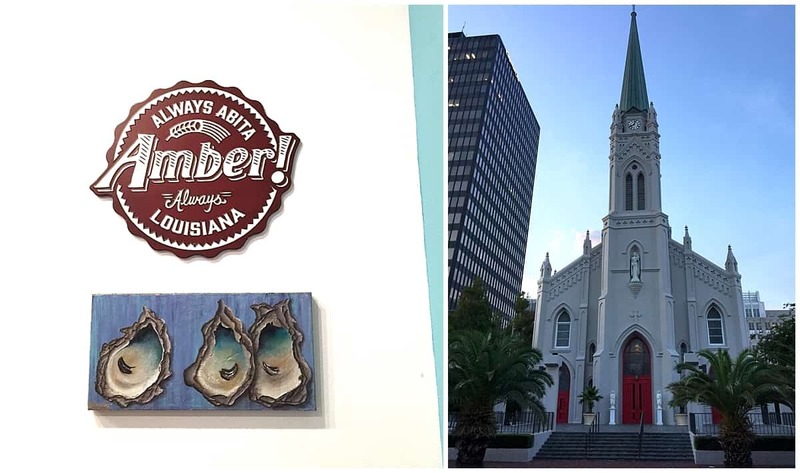 The hospitality is legendary: it really is the kind of place where people stop to chat, to ask where you’re from and invite you to follow the state’s motto: laissez le bon temps rouler. Ten days is just about enough to taste each of the aspects that Louisiana has to offer, as well as leaving time for New Orleans itself. There are lots of different routes you can take from New Orleans, though most will touch on Lafayette and Baton Rouge at some point. Travelling with a baby, we didn’t really want to spend any more than 2-3 hours in the car each day: we wanted to be out on the ground, exploring (and, let’s face it, knew we’d need to stop to change nappies, arrange feeds etc.) If you want to skip a few steps, you can just keep on going and spend more hours in the car each day. So, here’s the New Orleans road trip I’d recommend. Disclosure – I travelled to Louisiana with assistance from Visit New Orleans, Louisiana Travel, Hertz UK and Flight Centre. However, I remained free to write what I like and to choose what went into this road trip itinerary. I’m only recommending things I would gladly do again myself, not everything that was on the itinerary. Now, go have fun y’all! Yes, so the great New Orleans road trip doesn’t actually start until day 3 but I’m thinking of two things here. One, if you’re flying in you may well be jetlagged and I always think it’s a good idea to get some sleep before getting behind the wheel. Two, even if you’re not, New Orleans is such a fascinating and fun city that you may as well spend a bit of time in it. Likewise, my love for this city is so great I’ve left you with time here at the end as well, to look at New Orleans with new eyes once you’ve seen more of Louisiana. Most things to do in New Orleans are pretty mix and match and don’t need too much planning in advance but I’ve sliced up my suggestions into the following three ideas. 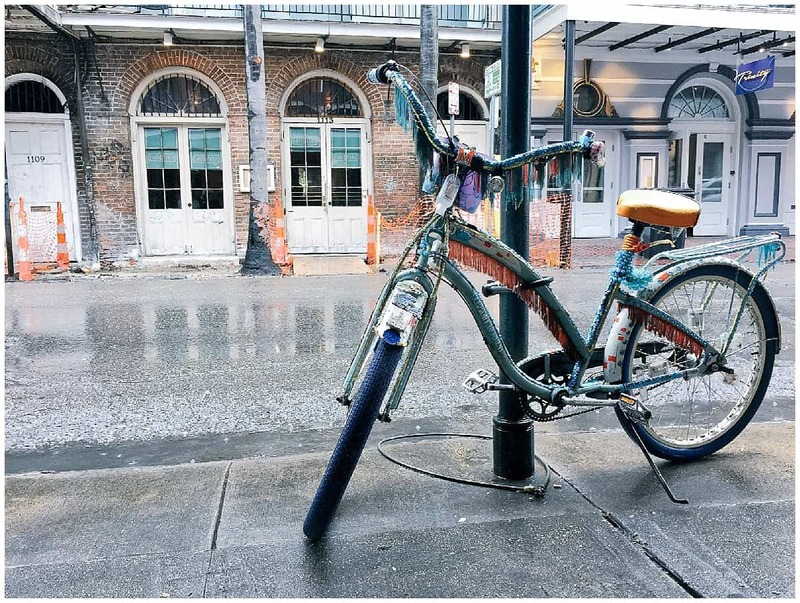 The French Quarter is a striking place to wander around on foot whatever the time, whatever the weather (though avoid Bourbon Street at night unless you actually are in the mood to party.) Its architecture is as far away from a modern American city as it is possible to be: wrought-iron balconies, narrow streets, bright colours, faded paintwork, swaying palms. You can find food and drink 24 hours a day (we were offered Bloody Marys with our 7am breakfast) but it’s not all history, history, history and party, party, party. New Orleans has a growing art scene, particularly around Royal Street and the Warehouse District, so if you are feeling so tired your head hurts but you just can’t sleep, try browsing your way along there. Live music can be heard almost everywhere, but Jackson Square in the afternoon makes a good spot to stop and stare, and Frenchmen Street performs well in the early evening. The iconic Cafe du Monde serves sugary beignets all day and all night and a bit of chicory caffeine and a sugar rush can help power you through jet lag. Save gourmet dinners for when your insides have caught up with the clock, though. For a larger, more contemporary place to stay, try Le Meridien New Orleans on Poydras Street. It’s just outside the French Quarter but as part of a multi-international brand it carries the pros and cons that come with that as you’d expect. Cafe du Monde for the iconic sugary beignets of New Orleans. While it’s a little optimistic to think that your jet lag will be over by now, hopefully you’ve caught up with some sleep – or at the very least, had some rest. A nice street to wander along is Magazine Street (hop off the St Charles Streetcar at Washington Avenue and St Charles Avenue.) You’ll walk with tourists along Washington Avenue, past Commander’s Palace and the Lafayette Cemetery but Magazine Street has a different feel. Look out for craft donuts (yes, they’re a thing in America) at District Donuts and art at the Terrance Osborne Gallery. If you’re organised enough to have booked a place in advance, spend an afternoon at Langlois cooking school, learning all about roux, gumbo and why those dishes are the way they are. Joey’K’s Restaurant & Bar on Magazine Street is a fun, colourful place to stop for lunch with staples like red beans & rice and southern fried chicken. Cavan makes a wonderfully atmospheric spot for dinner. Its location, in a salvaged mansion that dates back to 1883, brings the old New Orleans to life. Inspired by the Eastern Seaboard and Gulf of Mexico, the menu includes crab noodles and a raw oyster platter. At last, the New Orleans road trip gets underway! 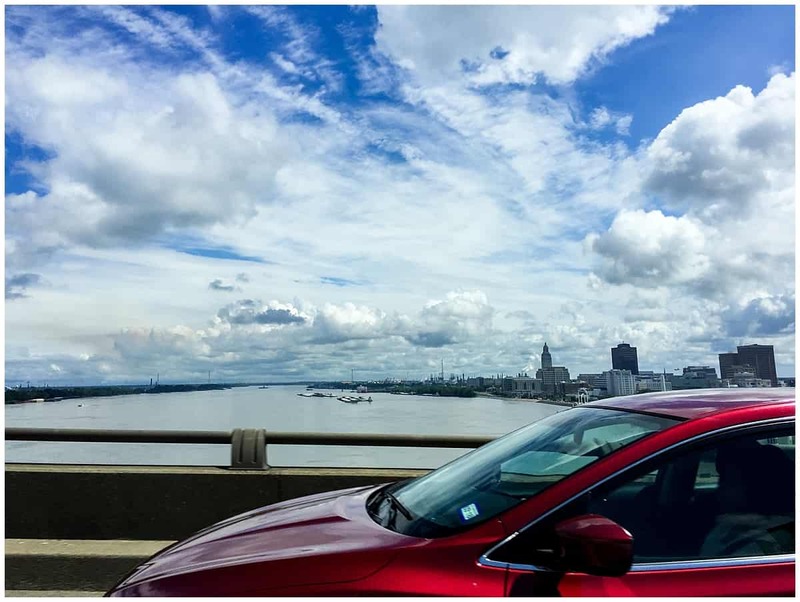 Although it usually makes sense to pick up your hire car at the airport, you don’t need a car in central New Orleans (the French Quarter and around) and as it’s quite a journey back to the airport, it doesn’t make sense to do that either. We booked through Hertz (you can book here at hertz.co.uk) who have a number of pick up points around the city, including within walking distance of the French Quarter (as long as you’re happy to walk. Otherwise, it’s a short taxi ride.) With a baby and all their paraphernalia in tow, it made sense for Mr Travel Lab to pick up the car and then head back and pick us up with our gazilions upon gazilions of pieces of luggage. I also recommend paying for the SatNav just in case, but we brought our own car seat from the UK so that we could use it in taxis and so on if needs be. Logistics, over with, zoom up that interstate baby! There is an unmistakable thrill to heading out of the city past the superdome and onto the interstate. If anything, America is the land of the motor vehicle and its new cities are designed with this in mind. Cars are big (we booked a towering Nissan Pathfinder and it looked like a toy) and drive-through diners abound. Despite our lofty plans for gourmet, cultural cuisine, we couldn’t help but pull over for breakfast when we saw The Huddle House. The waitress strutted over with a jug of coffee and iced water in a straight-from-the-movies style. Besides, it turns out that The Huddle House is a part of the local culture: it’s a Deep South institution with a legacy that goes back 45 or so years. Ribeye steak with grits for breakfast, anyone?! 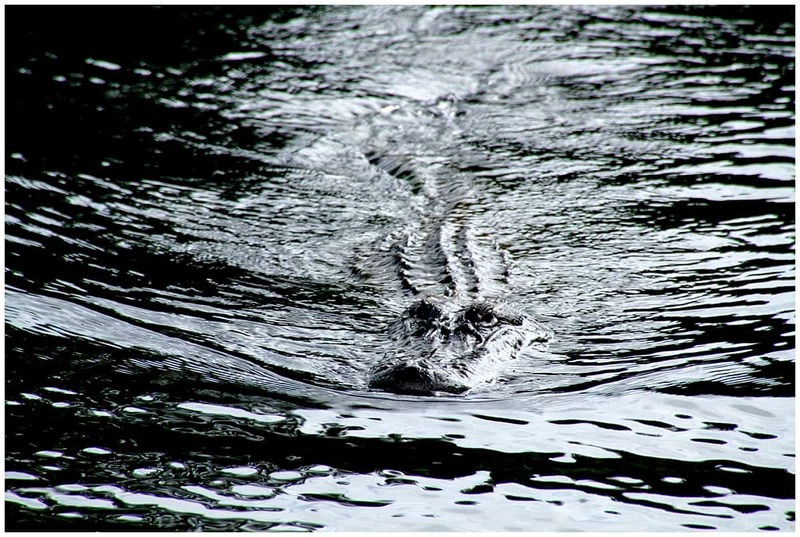 Driving along the highway, it takes a few minutes to notice that you’re flying across swampland, dead alligators on the side of the road instead of badgers. Every now and then the trees clear and the water of the bayous shimmer through, looking ever more beautiful than I thought a swamp could be. They also look pretty close to the road. Just a few minutes’ drive outside the city of New Orleans and it becomes easy to see why Hurricane Katrina had the devastating effect it did. But after a while, the road turns towards Vermilionville, the capital of Cajun country. Cajun country can be defined in many different ways, but possibly the most interesting is to note that it’s the largest French-speaking area within the United States. The word Cajun comes from the Acadians, people who fled modern day Canada when the British tussled with the French over who should occupy the land. The exiled Acadians bounced along the East Coast as refugees and were turned away by the mainly protestant British-leaning outposts until they reached the more Catholic area of New Orleans in Louisiana and were given permission to settle. That’s an oversimplification, of course, but if you want to delve any deeper, there are plenty of places to look, especially in Vermilionville. 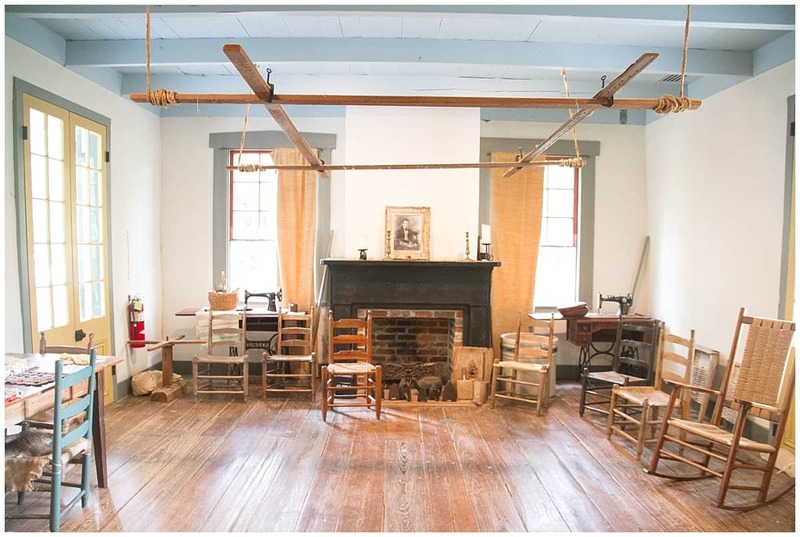 The Jean Lafitte Acadian Cultural Center offers plenty of resources, plus a more traditional museum style layout. But it’s the next door Vermilionville Living History and Folk Life Park that brings the history to life. It spreads over 23 acres and featured restored homes used by the early Acadian/Cajun settlers. Costumed staff explain the architecture and tell tall tales, greeting you in French but explaining things in English as well. 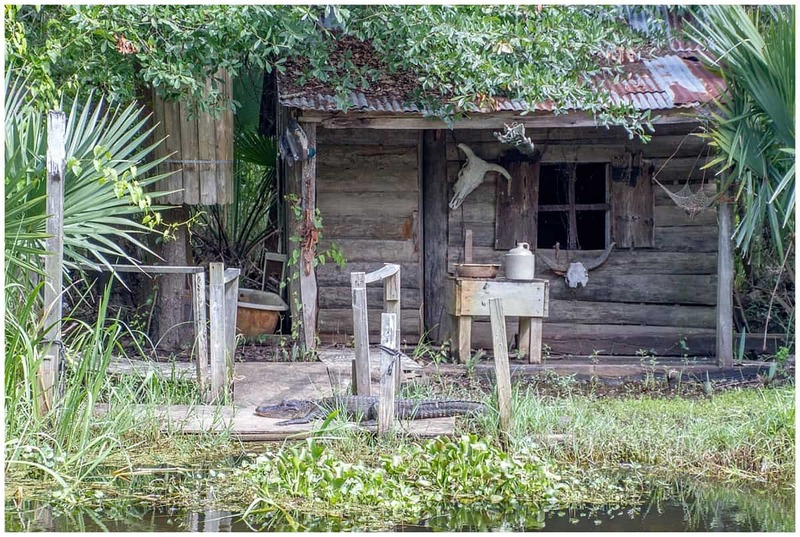 And although there’s a sense of tranquility there, with alligators hiding in the undergrowth only a few feet away, it’s a stark reminder of the reality of southern living. You can make up for the shock with a hearty plate of jambalaya and sweet potato fries. With picking up the car, the drive and taking your time on this Cajun stop, the day is pretty much full. So it’s time to drive into Lafayette to find a place to stay and a bite to eat, ready for the next day. We stayed at Home2 Suites by Hilton Parc Lafayette on Kaliste Saloom Road. This is a little out of town, but then, that seems to be the American way. Drive everywhere! What was amazing about this place was the hybrid self-catered apartment and hotel room approach. Our room divided up through curtains into each section and yet there was a fully staffed reception desk and breakfast available downstairs. Also, coin-operated laundry, a pool, a grocery store! Perfect for travel with a small child. I think it was dinner at Randol’s that convinced me that music really is everywhere in Louisiana. On an unpromising long avenue of tarmac (again, roads everywhere) looking for number 2320 Kaliste Saloom Road seemed a pointless task. Its unpromising wooden shack and corrugated tin roof look didn’t help much either. But inside was hospitality galore! Great food, local beer! You can see more about that on the Lonely Planet broadcast over here. It turns out that Randol’s has been owned and operated by Frank Randol for more than 40 years and considers itself deeply rooted in Cajun culture. They raise their own crawfish (a staple of this part of the world) and crabs and grow their own herbs. They also offer up Cajun or Zydeco music nightly (and somewhat curiously, play videos of people doing the same.) Foot tappin’ times even with the young ‘uns. Had you told me this time last year that I’d be interested in visiting the place where they make tabasco, I’d have said hell yes. Had you told me I wish I’d spent more time there, I’d have reached for that quizzical emoji. Yet, that’s exactly what I thought when I did get there. So, yes. 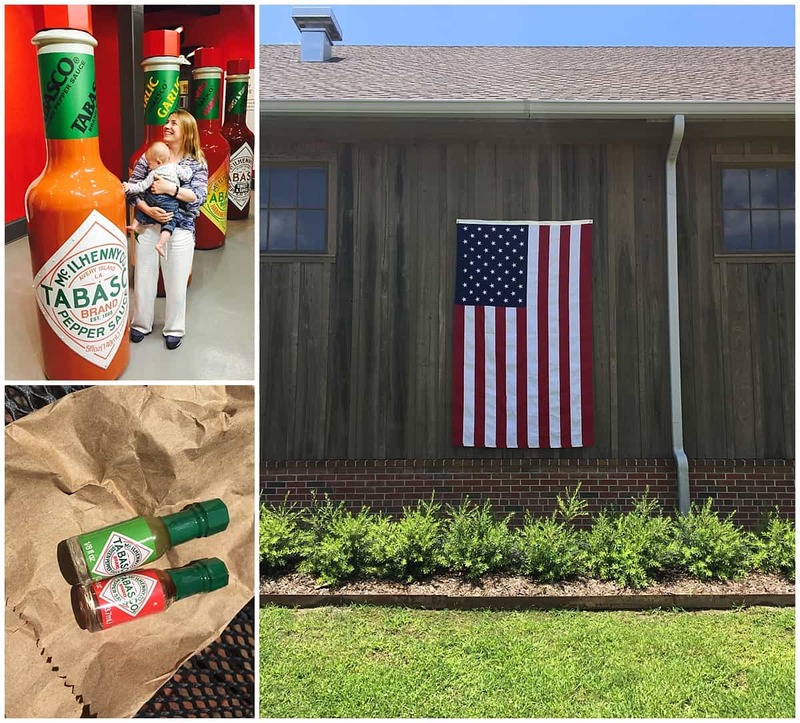 Avery Island is the Tabasco factory and it’s just a short drive from the Cajun hub city of Lafayette. But, and it’s an important but, it’s a place worth visiting in its own right. It somewhat undersells its subtropical Jungle Gardens, awash with azaleas, camellias and colourful bamboo. It is a safari made for a DIY road trip: rippling rivers, bayous, flocks of snowy egrets. And live oaks dripping with iridescent moss and barely another vehicle in sight. Plus, the days are hot out in the sun. A road trip through a garden isn’t really as daft as it sounds. So. In reality, I’d recommend leaving plenty of time for the Jungle Gardens but also time for Tabasco itself. Check out the Lonely Planet broadcast over here for more about Tabasco and check back here again soon for more. But if you find yourself finished before I say so (!) 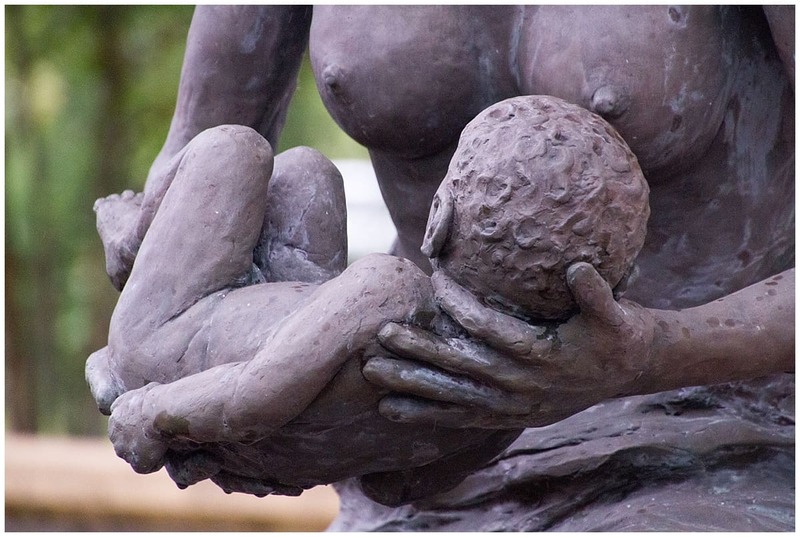 then drive into central Lafayette to check out their collection of downtown museums. 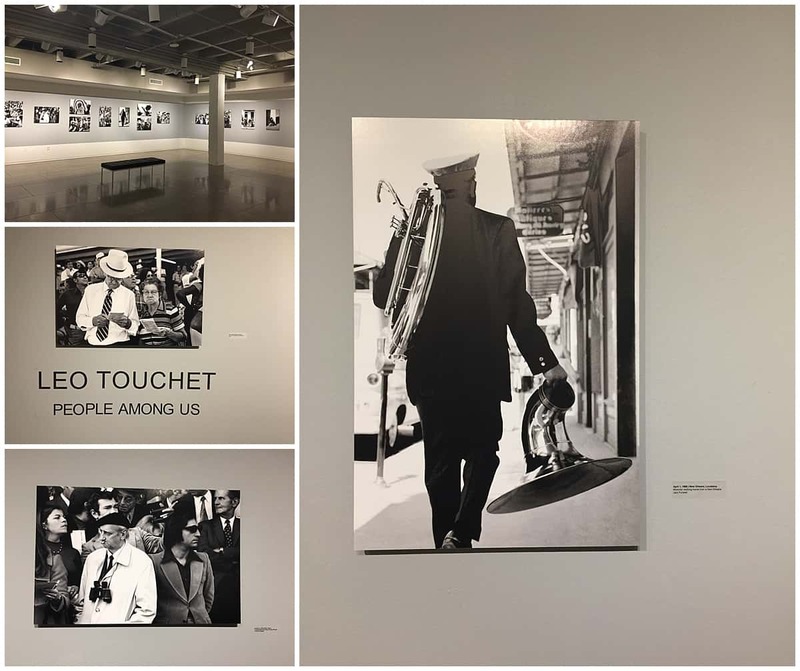 I loved the Leo Touchet exhibition at the Acadiana Centre for the Arts. Also, look out for the Lafayette fountain and city sign: a humble homage to that Hollywood one, just a little more down to earth. Literally. Enjoy the sense of the ridiculous by dining at the Tabasco museum, where a gazillion miniature bottles of Tabasco in all its variety await. It’s worth getting up early today to avoid the full weight of the almost-Texan sun as you walk (and drive!) 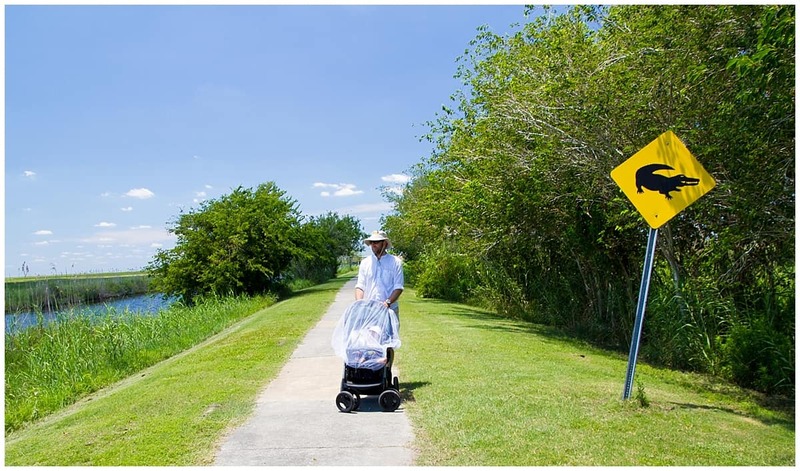 the Creole Nature Trail – and it’s definitely worth stopping to see the Creole Nature Trail. I find visitors’ centres for natural landscapes to be more than a little hit and miss but the Creole Nature Trail Adventure Point on 2740 Ruth Street is definitely a hit. No bigger than a church hall, it shines a spotlight onto many of the mysteries of Creole culture and the wildlife of Louisiana. A DIY band shows the difference between Creole, Cajun and Zydeco bands (it’s strangely addictive) while other exhibits introduce recipes, list wildlife and showcase geology. Plus, the maps are handy and the staff couldn’t be more enthusiastic. As we’re in America, we’re talking about a driving based nature trail but there are plenty of pitstops where you can stop the car and get out and walk. The sun is fierce, though, so, again, a driving walk makes more sense than you may think if you’re reading this behind the screen in a cooler climate. We followed the Blue Goose Trail through the Sabine National Wildlife Refuge. 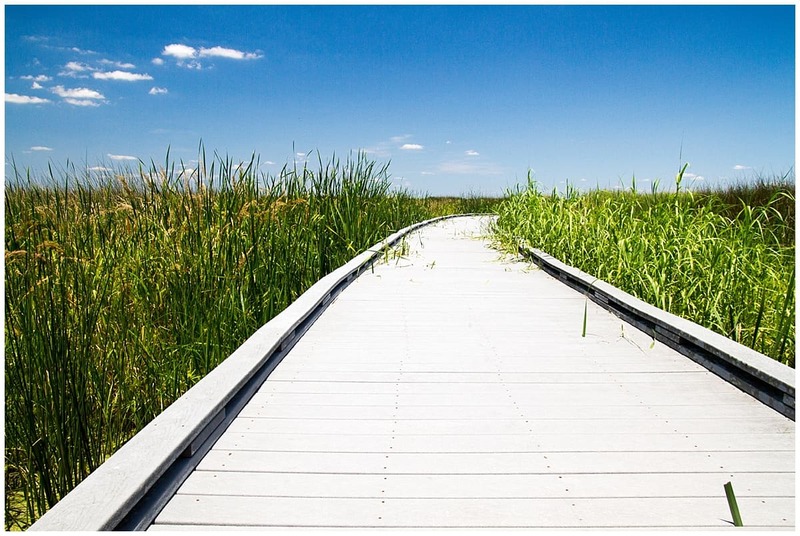 The immaculate boardwalks of the Lake Charles Wetland Walkway reached out into the luminous green freshwater marshes. We took mosquito spray (and a net for the buggy) but I’m not convinced we needed them. You can drive on to reach Holly Beach on the Gulf of Mexico and see pastel-coloured houses on stilts that overlook white sand and strangely still surf. If this is your thing, you can spend another day here and complete the loop by crossing on the Cameron Ferry and driving up to Lake Charles. Alternatively, make a U turn and drive back up towards Sulphur before heading on to Lake Charles. Whichever you decide, I’d highly recommend a stop at Le Bleu’s Landing at 202 Henning Drive, Sulphur. It’s a family-owned Cajun restaurant with a gift shop and comedy life-size alligator but despite all that seems highly authentic. Workers in plaid shirts fill the hall at lunch time, chomping down on the Cajun specialty of Boudin, a rice sausage make with ground pork, liver, parsley, onions, salt, black and red pepper and secret inputs from cooks. You can also order up the mythical fried green tomatoes (at the Whistle Stop Cafe.) Yay! We stayed at the Isle of Capri, Westlake a massive casino hotel. However, we heard about a pop-up Zydeco event at The Crying Eagle Brewery so didn’t spend much time there as a result. Ask the concierge (and have a quick google) to see what’s on. The aforementioned Le Bleu’s Landing. It’s on day six that you start to retrace your steps and head back towards New Orleans. But this time, you’ll be stopping at the state capital Baton Rouge, after a detour to Breaux Bridge. Breaux Bridge is a fun place to stop, and a small town addition to the big cities en route. With characteristic humility, it calls itself the crawfish capital of the world and announces the fact on the 200-year-old bridge that gives the town its name. The real joy here is the modern expression of French-Acadian charm. Plenty of antique shops, small cafes, crawfish (!) and chances to see the cool, clear waters of Bayou Teche. Watch the Lonely Planet broadcast on Breaux Bridge here. Baton Rouge is a curious city. Unimpressive to Americans, dazzling to outsiders. This is the amazing part of travel. One man’s mystery is another’s mundane. For me, of course, the thought that anyone in a capital city is talking to anyone, let alone strangers, let alone being helpful, is itself a novel idea. Downtown Baton Rouge is clean and orderly, spreading itself and its museums along the lazy curve of the Mississippi. We stayed in a suite in downtown Baton Rouge at Hotel Indigo. Suites work well for travel with babies (when baby is asleep, you still have a room to yourself.) The location, within an easy walk of Third Street, the museums and the Mississippi, was perfect. Baton Rouge has a great range of eateries. A good downtown place to start is the eclectic Jolie Pearl Oyster Bar where almost every flavour on earth comes served on an oyster (well, 50 different flavours, but who’s counting?) Also, the Love Actually fantasy Schlittz & Giggles satisfies any pizza-and-a-bottle-of-Bud All-American cravings. Tomorrow requires an early start to get going and make the most of Plantation Country so think of today as your only day in Baton Rouge. As befits a state capital, there are plenty of things to do, more than you can comfortably fit into a single day. But also, it isn’t a city with as many must-sees as, say, New York or Boston, so don’t feel pressured. Choose a few things to do and make your peace with it. If you haven’t noticed already, breakfast is a big deal around here. Order a virgin Cajun bloody Mary at Another Broken Egg, another Louisiana franchise, and then spend the rest of the morning browsing the Red Stick Farmer’s & Arts Market, a short walk from the downtown area. The market provides a daytime chance to catch some live Cajun music, as well as munch on some artisanal snacks like smoked meats and pecan pie. One friendly farmer told us the story of the white aubergine. Apparently, French settlers found the traditional purple one went bitter in the heat and humidity so they trialled different types until the white one took hold. Either that or he just spun us a good yarn. 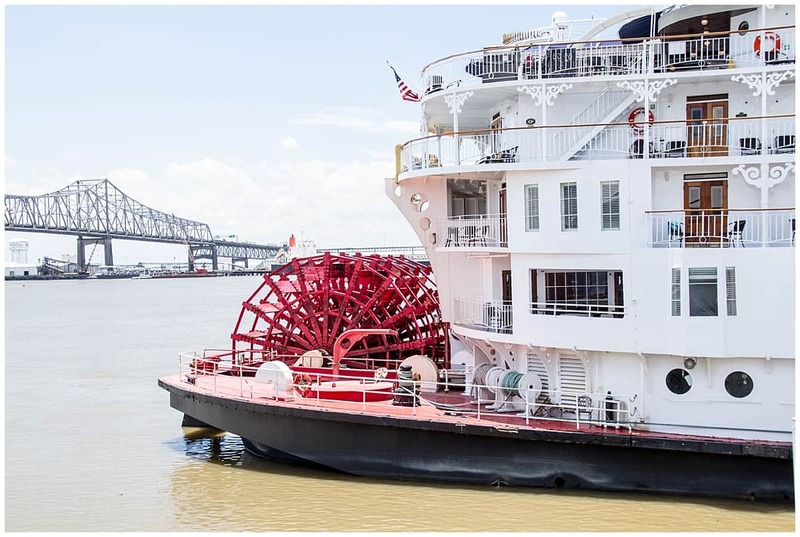 Visits to the relaxed Tin Roof Brewery and Cane Land Rum Distillery can double up for culture and a live music hit as owners tell tall tales about floating whisky and the Mississippi journey to New Orleans. Catch the Lonely Planet broadcast from the distillery over here. Breakfast at Another Broken Egg and lunch at the market. Then for dinner, visit Cocha on North 6th Street. Sip cocktails like the Worm’s Big Adventure (Sazerac Rye, Cocchi Americano, Green chartreuse and lime) beneath Mardi Gras beads and feast on lavender lamb chops. Today’s the day to hit the most iconic stretch of the trip: the Great River Road. Ironically, the drive itself isn’t all that interesting, but it’s the places you can stop off and visit that make this stretch a road trip to remember. First up, is a swamp tour, which is decidedly nicer than it sounds. I’ve written before about the importance of the swampland around New Orleans in explaining its character but it’s worth taking a trip even if you’ve been on one before. 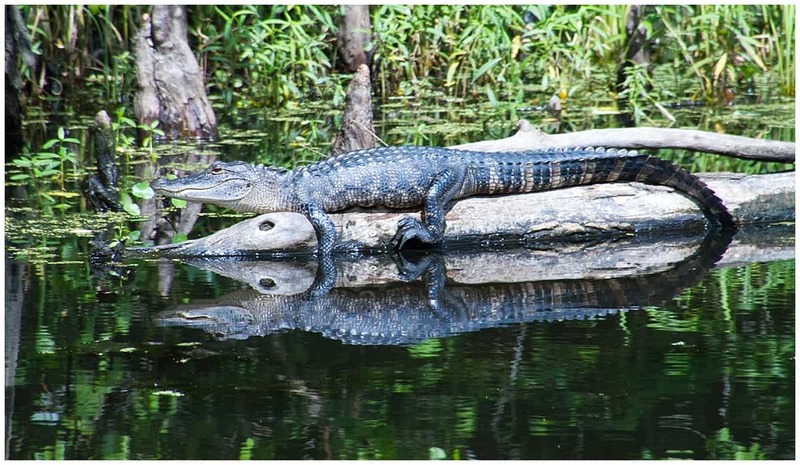 Although swamps sound grim, they’re actually peaceful, cool, beautiful places with far fewer mosquitoes visible than Hollywood would have you believe. We joined the Cajun Pride Swamp Tours in Frenier and took to the Manchac swamp. I’d wondered whether this would be suitable for a baby but no-one else seemed bothered. Our Cajun captain welcomed us aboard and, as the boat’s in the shade and the journey’s steadier and slower than an airport travelator, I needn’t have worried. I even ended up breastfeeding on the bayou, while other passengers looked at the alligators. In truth, I wish we’d had longer on the water. Gliding past wild hibiscus rose mallow and marshmallow while listening to the history of the region through a thick Cajun accent amid the moss-draped cypress trees seemed, well, impossibly tranquil. There’s also an interesting exhibit on the Native American people who lived in Louisiana prior to the arrival of the Europeans. Lunch at The Creole House, Paulina. 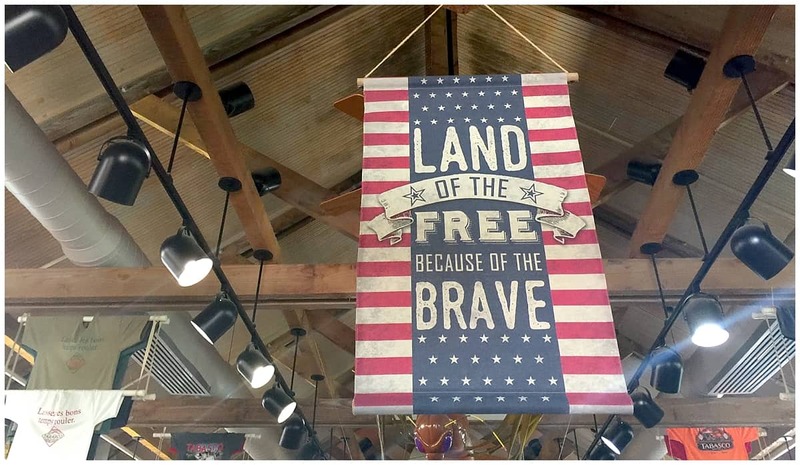 Quick n hot gumbo beneath whirring fans, stars n stripes and floor to ceiling wood and sports TV. Wham, bam, thank you ma’am, does this place have a grand entrance. 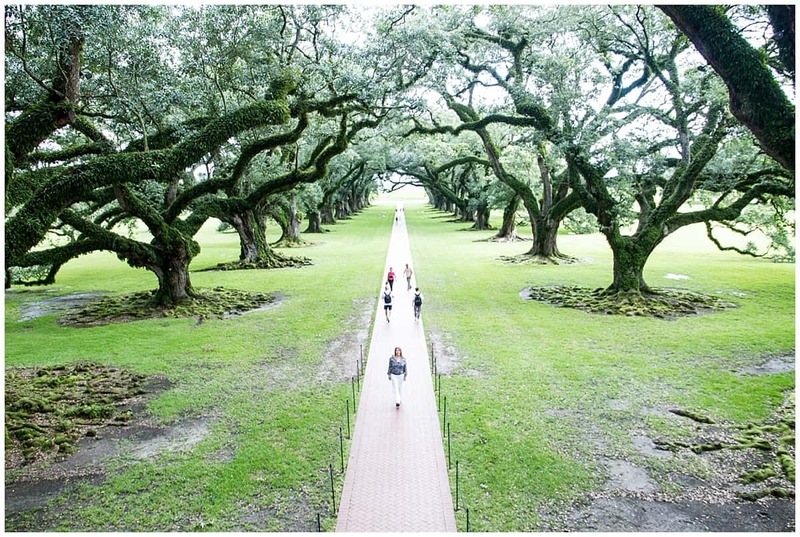 A quarter of a mile of centuries-old oak trees lead up to the white columns of the Oak Alley Plantation, an icon in the Deep South and a plantation home that has seen Brad Pitt, Tom Cruise and Beyonce strut their stuff here using the place as a backdrop. I could just stand and look at the place for hours, as could everyone else in town, which is why they make access to the house contingent on booking a tour. In fact, it’s a little jolting after the rest of the New Orleans road trip to rejoin the world of tourists but the shock can be smoothed over by staying the night on the plantation itself. As the daytrippers disappear, the place seems all the more impressive, and all the more haunting. Accommodation is in cottages on the grounds of the plantation but not in the Big House itself (which, actually, is a blessing as it was built in 1829 and lacks a lot of modern amenities.) You can see more about the stay in the Oak Alley plantation cottage on this Lonely Planet broadcast here. This is definitely something to book in advance. Oak Alley has a restaurant on site but a nice thing to do is to have dinner brought to your room before you arrive. There’s something special about sitting on your own front porch, listening to the crickets and watching the clouds roll by overhead. Magnificent for those with or without babies. Make the most of the morning in the cottage and on the grounds of the plantation. Check out the cabins that talk about the Civil War, slavery and sugar production if you missed them yesterday and make time for that all important meal of breakfast. Early morning is also the time for photos, if you’re into that kind of thing, snapping away at the live oaks before the New Orleans day trippers begin to arrive. Next up is a short drive to a different kind of plantation: the Whitney. On our trip, we combined the swamp tour, Oak Alley and the Whitney in a single day, which was probably a bit much. Enjoy the splendour of plantation life first; then visit the Whitney and confront how all this wealth was possible and how many human lives were ruined. It’s a powerful, powerful place. You can read more about my thoughts about the Whitney and the Great River Road over here. It’s now a short drive back to New Orleans to drop off the hire car and check in to a new hotel. If you stayed in the French Quarter on arrival, it makes sense to stay somewhere else now to get a different flavour of the city. 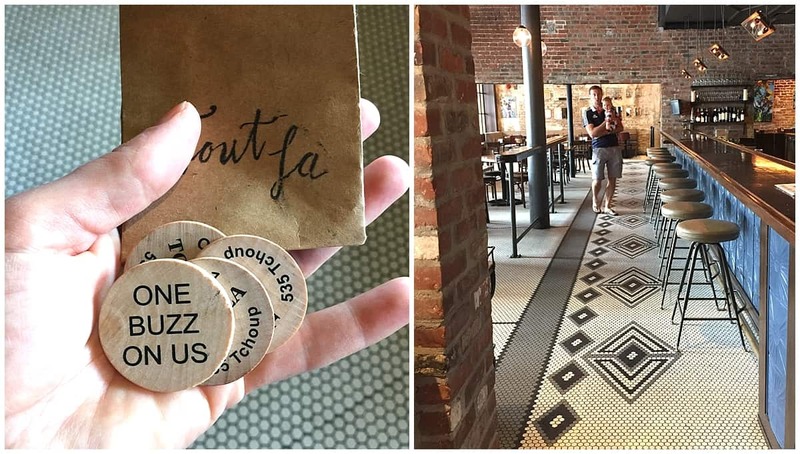 I loved the Old No 77 Hotel on 535 Tschoupitoulas Street in the Warehouse District. It’s a bit of a walk from the French Quarter, Treme and a tram ride out to the Garden District but it’s a fascinating place in an area awash with art. The hotel itself features art from local artists and has a relaxed hipster vibe, which can be an enjoyable move back to the present after a week spent revisiting the past. Watch the broadcast for Lonely Planet over here. Ach, well, you don’t have to spend the last day in New Orleans, of course. But it’s such a fascinating place, why wouldn’t you? The New Orleans Jazz Museum at the US Mint on Esplanade Avenue doubles as an interesting look at the city in the early 20th century as well as, of course, focusing on jazz. One of the best things about a trip to New Orleans is the character of the food and the character of the places that serve it. So, while I’m recommending more places than you need for a single day, it’s because I don’t want you to miss something that works for you. Most of these picks are in or close to the French Quarter but I’m also including a few slightly further out in Magazine Street if you fancy a change of scene. Napoleon House, Chartres Street – So named because the then mayor of New Orleans invited Napoleon to stay here back in the 1800s. If shabby chic and history is your thing then head here for a Muffuletta (pastrami, salami, Swiss cheese sandwich famous in these parts) or red beans and rice. Cafe Amelie – Gorgeous little eatery in a leafy courtyard off Royal Street. Angeline – High quality flavour and presentation in a low key setting in the French Quarter. A mediterranean twist on Louisiana fare. Johnny’s Po-Boys – A new Orleans story in a sandwich, the Po-Boy of a white baguette, slippery roast beef or fried crawfish, excels in its simplicity. And Johnny’s rounds that up with counter service, bright lights and great taste. Baru – Latin Caribbean cocktails and tapas on Magazine Street. La Petite Grocery – atmospheric eatery with modern takes on Louisiana classics, like turtle bolognese and blue crab beignets. If you’re flying from the UK, there’s good news! British Airways now flies direct to New Orleans from London Heathrow, which avoids the kinda hellish transfer in Atlanta late at night. The flight lasts 10 hours and the airport (MSY) is small on an international scale and pretty easy to navigate. With over 80 high street stores in the UK and nearly 2,000 worldwide, Flight Centre’s expert travel consultants and customer service team are on hand seven days a week to provide the very best in global travel. Flying long haul with a baby was nowhere near as traumatic as people made out; in fact it was actually quite nice. You get let on first, have help and don’t have to cook and clean up all by yourself. Aeroplane toilets are larger these days, with changing facilities, and you can take the buggy right up to the gate. Read more about travel tips for flying with a baby over here. One thing to note, perhaps, is that British Airways Business Class doesn’t have space for bassinets. We were upgraded (after I helped in a medical emergency, long story) and while staff are happy to let babies sleep on parents’ laps, you will have to wake them for meals and turbulence and so on. Read more about flying Business Class with British Airways over here. What have I missed? 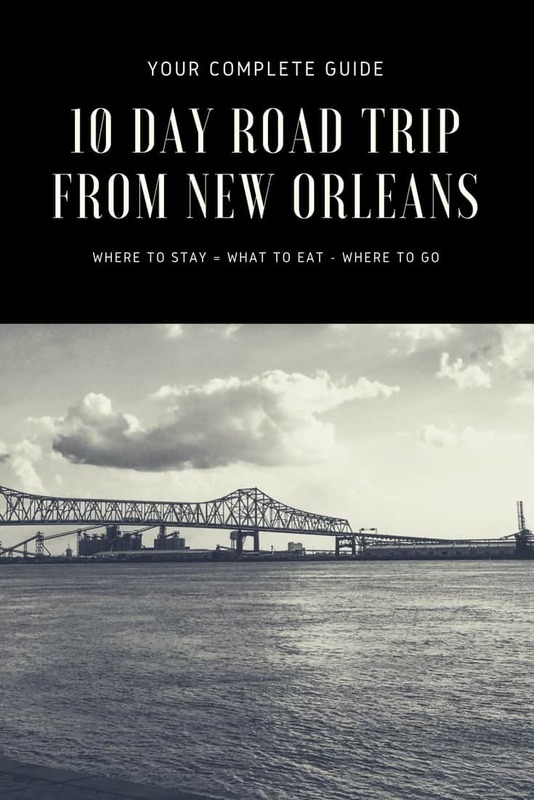 Do you have any tips for a New Orleans road trip? Oh my, this just looks fantastic!! My husband would love a road trip like this. And I had no idea it could be done in just 10 days. Great photos and that hotel looks great. And that’s 10 days at a nice, relaxed, easygoing Louisiana pace, too (mostly.) Happy road tripping! Ah, I dithered so long about Natchez. I’m not sure if I’m pleased to hear about how much you enjoyed it or not, hehehe ;-) Next time, definitely yes then! But I’m really glad we stopped in Baton Rouge in the end, too. 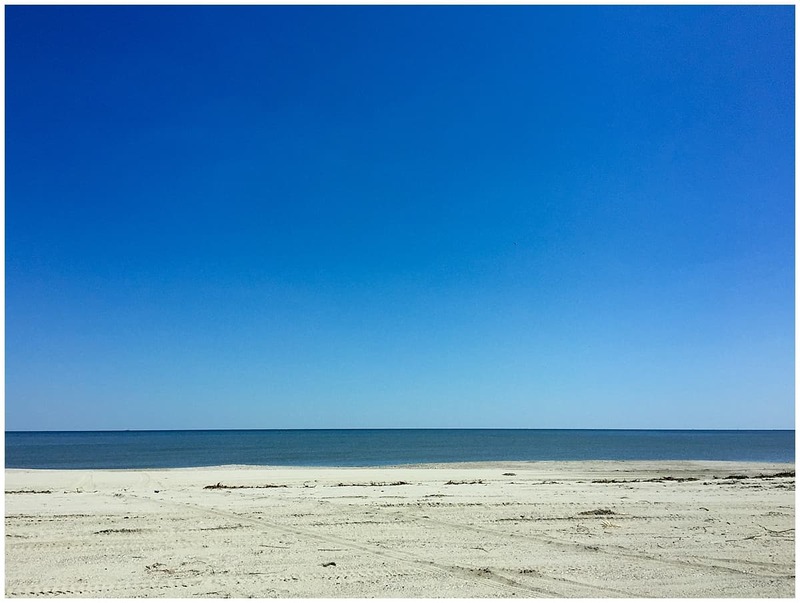 We got to see a different side of Louisiana – and definitely no tourists! It’s interesting – I met someone in New Orleans who said that the Great River Road was “just big houses and you go there and think, OK, that’s big, then that’s it” which couldn’t be further from my experience. I found the plantations fascinating. I possibly could have spent a week just looking at the plantations… so I shall definitely make a note of Laura Plantation as well. Cheers! To friend chicken, beignets, and steak with grits! Louisiana, wait for me! And gumbo! And etouffee! And! And! And! I’m so hungry…. !